She's the Kim Kardashian lookalike, who's often hailed for her glowing complexion. And now, Martha Kalifatidis has revealed the top five Beauty products she can't live without. The brunette Beauty first praised the Radiant Creamy Concealer by NARS, which retails for $46 AUD. 'I am obsessed with this concealer and one of the reasons I love it so much is because it comes in such a massive range of shades,' she gushed. Second up was the Easy Bake Loose Powder by Huda Beauty, which Martha claims leaves the skin looking 'completely air-brushed'. 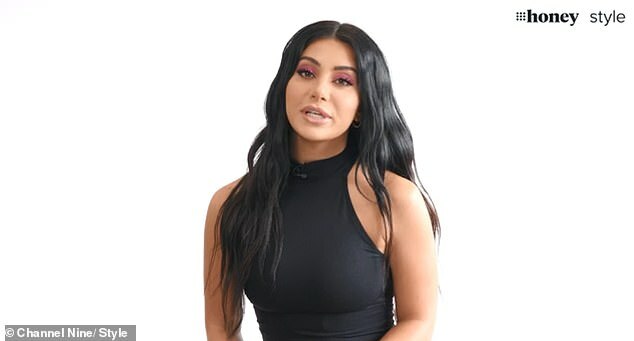 The powder is from American makeup artist Huda Kattan's Beauty line and retails for $55 AUD.